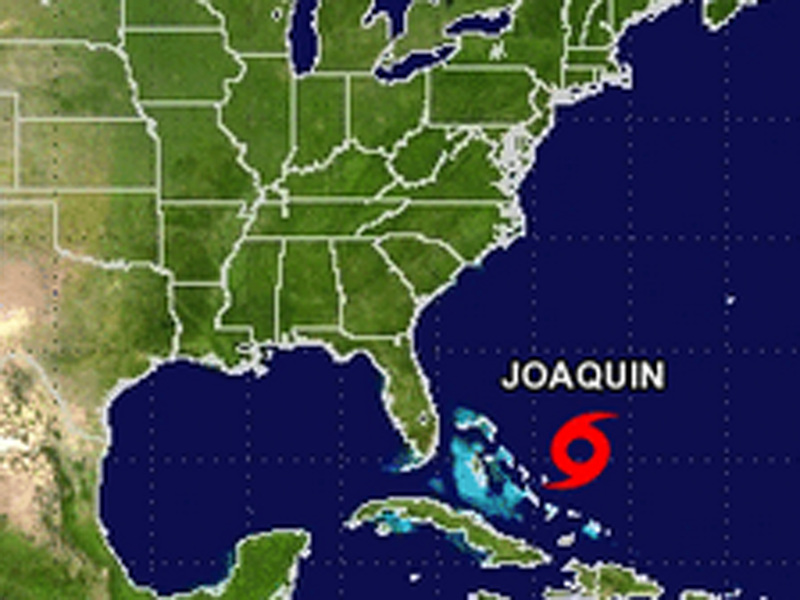 MIAMI -- A hurricane warning has been issued for the central Bahamas as Tropical Storm Joaquin approaches. The storm's maximum sustained winds early Wednesday were near 70 mph. The National Hurricane Center says strengthening is expected and Joaquin is forecast to become a hurricane later in the day. The warning was issued by the Bahamas government. As of 5 a.m. EDT, the storm was centered about 240 miles east-northeast of the central Bahamas and moving west-southwest near 6 mph. The center of Joaquin is expected to move near or over portions of the central Bahamas Wednesday night and Thursday, the hurricane center says. The Hurricane Center says an Air Force Reserve Hurricane Hunter plane was en route to investigate Joaquin Wednesday morning. CBS New York meteorologist Lonnie Quinn said on "CBS This Morning" Wednesday, "We believe there will be landfall, probably sometime Monday, anywhere from North Carolina to, say, Baltimore, in that area." Meanwhile, in the Pacific, Marty weakened to a tropical depression as it moved away from Mexico's coast. Marty's maximum sustained winds decreased to near 35 mph, and it's expected to weaken to a remnant low later Wednesday or on Thursday. The depression is centered about 115 miles south-southwest of Zihuatanejo, Mexico.